Pinsel waschen ist etwas was ich absolut nicht ausstehen kann. Ich zögere es so unglaublich lange hinaus, sodass ich irgendwann ohne sauberen Pinsel da stehe. Nun habe ich die perfekte Lösung, wie es ganz schnell und einfach gehen kann! 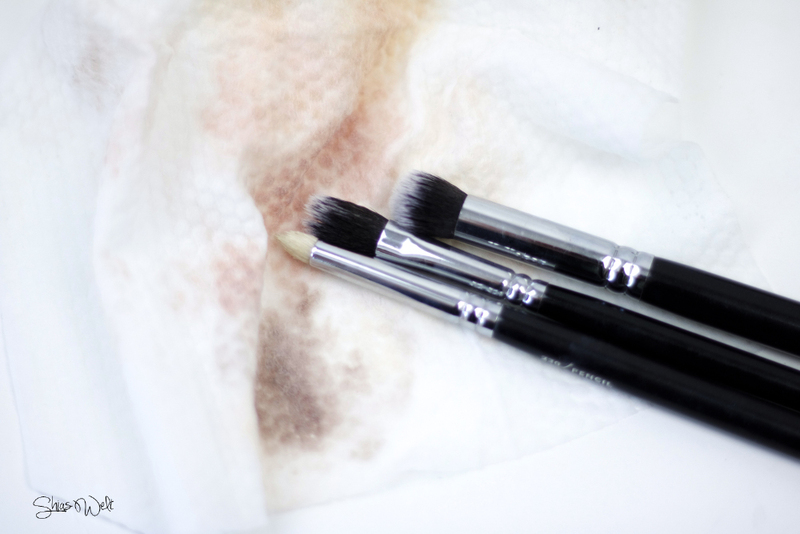 Cleansing my brushes is something i really hate. Staying a long time on the sink and washing the make up out of my brush collection -ugh! I always used curd soap for cleansing them but i don’t like how the brushes feels afterwards and the smell isn’t nice as well. 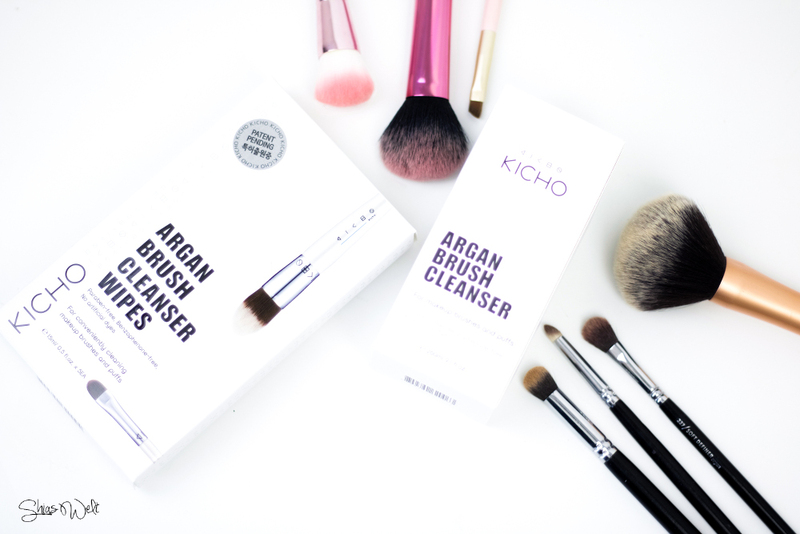 I testet the Kicho Argan Brush Cleanser and the Kicho Argan Brush Cleanser Wipes and i have to say, i love them! 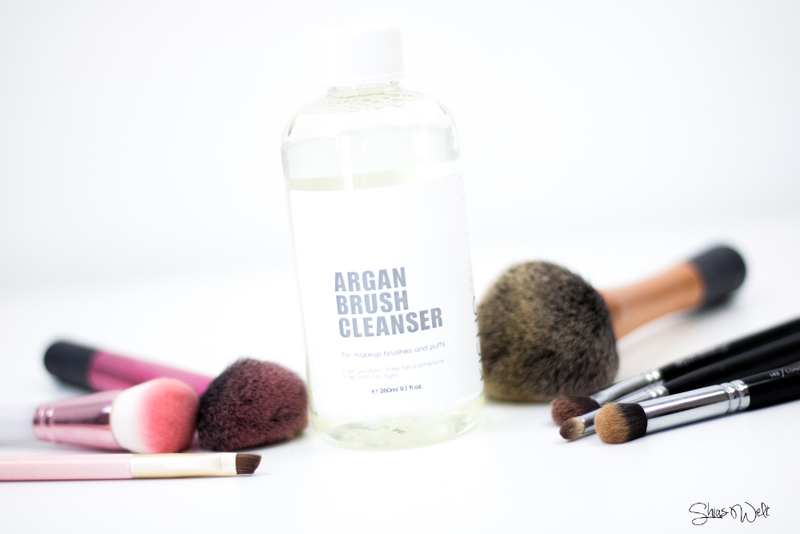 A product i ever heard of before were the Argan Brush cleanser Wipes – yes wipes. Perfect for traveling or cleaning the brushes in-between! The Argan Brush Cleanser Wipes come packaged in a box of 5 with each containing 15ml of product. 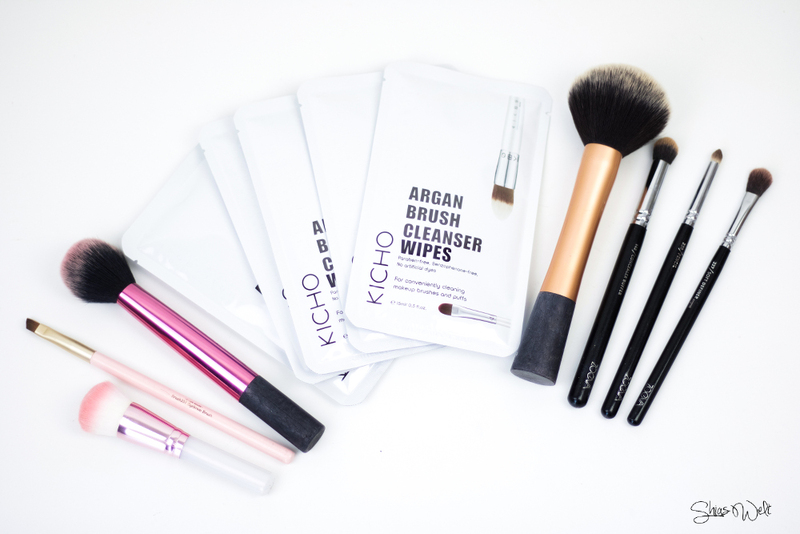 In each package you find one folded wipe and some leftover liquid inside the sachet ~ The Wipes are folded into 6 section, so you could use it for 6 different brushes. You just swipe the brush across the Wipe until its clean. Afterwards you should hold the brush under running water and let it dry. I really like both products and definitely going to buy them after they got empty! Its much faster and better for my brushes to clean them with these products! Auf Dauer glaube ich zu teuer, aber für ein Trip oder mal zwischendurch finde ichs ne super Idee!